Home | Custom built storm windows; replacement or repair. Improving efficiency while preserving historic character. 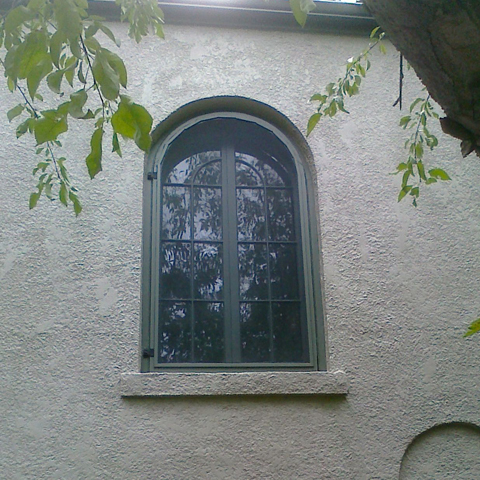 Wooden Storm Windows Plus is dedicated to helping you preserve your vintage windows in a cost effective manner. No project is too small or too large. A project can also be broken down into smaller sub-projects, done over a period of time to meet your budget constraints. Not your grandfather's storm windows. The easy change and store option allows the glass portion of the window to be exchanged for a screen portion from the inside of your home. Thereby increasing usability and safety. Repairing your original windows and adding good fitting wooden storm windows will improve their efficiency close to that of a new double pane window. Your old original windows most likely can be repaired. 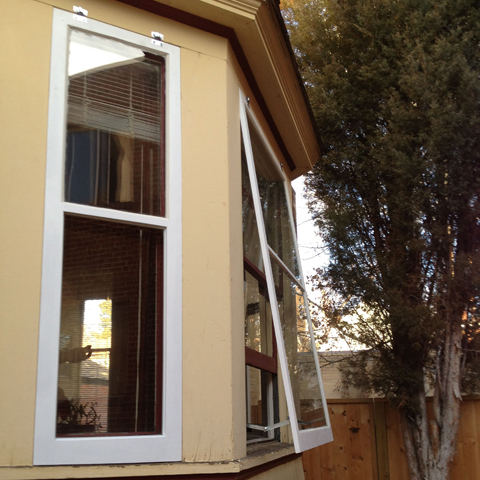 Doing so will reduce the use of landfill space not only for your old windows but also for the new one that you will be replacing in 20 years..
"We had storm windows made for our 85 year old home in Denver. We had found it challenging to get qualified help restoring this home so were very pleased that the windows arrived, when scheduled, fit perfectly, and were installed without a hitch. Joe of Wooden Storm Windows Plus did an outstanding job for a very fair price. We couldn’t be happier . . . and cozier during the cold winter days and nights. What we save on heat will pay for the windows within a year or two. We are also pleased with the quality of work. As lifelong woodworkers, and restorers of several old homes, we know the difference quality makes and how hard it can be to find real quality. We recommend Joe and Wooden Storm Windows Plus with total confidence". Which windows do you open? Which would you like to open? Do you open the tops or would you like to open the tops? Are there any noise pollution issues, a busy street on one side of your house? From this conversation we can come up with a range of options that will meet your desires, needs and budget. Together we can discuss the costs and benefits of each option for each window. Each window can be repaired to it's own needed level of function, there by not stressing your budget. We will also discuss a time frame that will accommodate you and your budget.